Chai Center Chabad, Short Hills — Seders will be held Friday-Saturday, April 19-20, 7:30-9 p.m. Cost is $54 adults, $25 children. RSVP at ChaiCenterChabad.org. Congregation Beth Israel, Scotch Plains — A seder will be held Friday, April 19, at 6:30 p.m. Cost is $40, $20 for children 2-12, free for children under 2. To check availability, contact 908-889-1830 or office@cbisp.org. Chabad of Morristown — Seders will be held on April 19 at 7:30 p.m. and April 20 at 8:15 p.m. Tickets begin at $35 (no one will be turned away due to lack of funds). RSVP at cypmorristown.com or contact 973-307-0195 or Info@cypmorristown.com. Chabad of West Orange — A seder will be held at 8 p.m. on April 19. Cost is $60, $25 per child, free for children under 3. Contact 973-325-6311 or visit chabadwestorange.com/Passover. 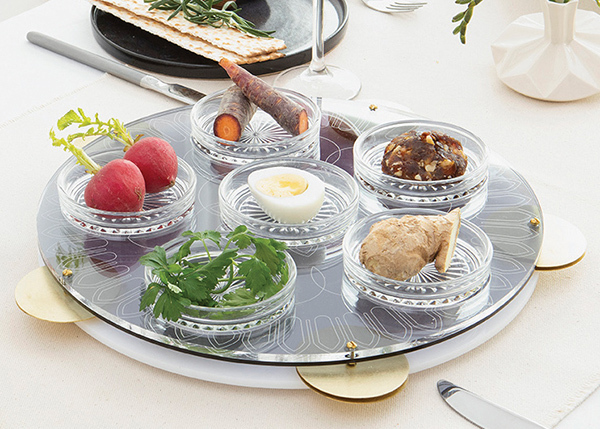 Chabad of Randolph — A seder will be held April 19 at 7 p.m. Cost is $54/adult, $34/child. Reservations can be made online at RandolphJewish.com/rsvp. Temple Beth Am, Parsippany — A second-night seder will be held April 20 at 5:30 p.m. Cost is $55 adults, $45 members; $45/$24 children 6-12, $165/$135 family maximum. Call Debbie Lesser at 973-887-0046. Bnai Keshet, Montclair — A seder will be held on April 20, 6-9 p.m. Suggested price is $45 per adult; $25 per child. To register, go to bnaikeshet.org/bkcommunityseder19 or call 973-746-4889. B’nai Shalom, West Orange — A second-night seder will be held on April 20 at 8:20 p.m., with food catered by Teaneck Doghouse restaurant. Cost is $58 adults, $28 children under 13. Register at bnaishalom.net/events.php# or call 973-731-0160. Chabad Center of Northwest NJ, Rockaway — “User friendly” seders will be held April 19 and 20 at 8 p.m. RSVP to 973-625-1525, ext. 202, or RabbiB@onetorahway.org or go to OneTorahWay.org/passover. Chabad at Short Hills — A seder will be held April 20 at 6 p.m. at 650 South Orange Ave. Cost is $72 adults, $36 children. RSVP online at chabadatshorthills.org or call 973-535-1800.